A limited beta test goes live October 5th. Project Stream promises to deliver the holy grail to video game fans around the globe -- the ability to play the latest AAA games on any laptop or PC via a stable, no-lag streaming service. Google is preparing to publicly test Project Stream with a "limited number of participants" on October 5th, letting them play Assassin's Creed Odyssey for free in the Chrome browser. That's the latest game in the Assassin's Creed series, and it's a massive open-world adventure packed with 4K-capable graphics. 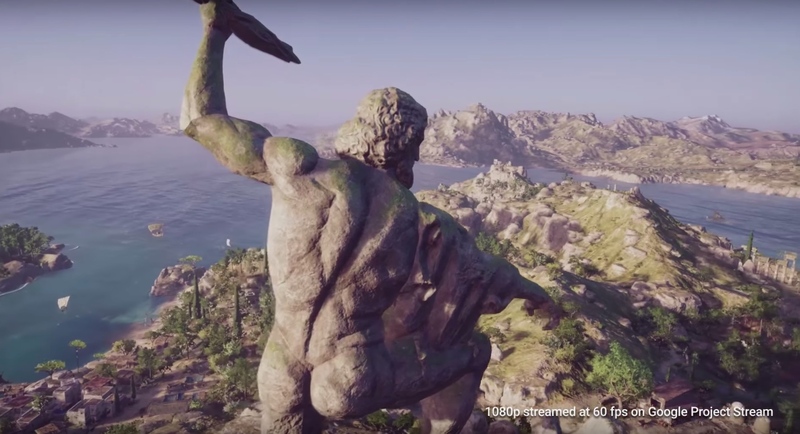 In a demo video, Google shows Assassin's Creed Odyssey streaming at 1080p and 60fps. If all goes to plan, the game should work on any laptop or PC, regardless of how recently you've updated the graphics card. However, Google recommends a home internet connection of at least 25 megabits per second. For anyone interested in playing the new Assassin's Creed on the day it comes out, for free, in the Chrome browser, there's an application right here. Google developers said the beta test is meant to push the limits of Project Stream. AAA video games are far more complicated to stream than a movie or TV show, offering dense worlds of animation and input-sensitive information. "The idea of streaming such graphically-rich content that requires near-instant interaction between the game controller and the graphics on the screen poses a number of challenges," developers wrote. "When streaming TV or movies, consumers are comfortable with a few seconds of buffering at the start, but streaming high-quality games requires latency measured in milliseconds, with no graphic degradation." Rumors have been flying for months about a potential Google-branded streaming service. Initial reports said any such service would link up to Chromecast, allowing users to play AAA games on their TVs without modern consoles. There's also buzz about Google adding Bluetooth capabilities to the next version of Chromecast, opening up the door to connected gamepads. Google isn't alone in the streaming-game space. Sony has PlayStation Now, but it hasn't exactly solved the lag issue yet, while companies like OnLive have burst onto the scene with big streaming promises only to quietly implode soon after. One of the latest companies to enter the scene is LiquidSky, which has been fairly silent since officially launching in March 2017. Meanwhile, Microsoft is working on a game-streaming service for the next Xbox generation.